Mancunian legends JAMES plus SWIM DEEP, CHLOE HOWL, ELLA EYRE and ESCO WILLIAMS are the latest additionsto the Wakestock 2013 Line up. Single day ticket tickets on sale 9am Friday May 17th. With summer just a couple of weeks away the Wakestock team are excited to announce that Mancunian legends JAMES have been added to the 2013 line-up. Plus SWIM DEEP, CHLOE HOWL, ELLA EYRE and ESCO WILLIAMS have also been added to the bill. In other news, single day tickets are going on-sale Friday May 17th at 9am. These new additions join the already stellar line up including the likes of EXAMPLE, RUDIMENTAL LIVE, BASTILLE, MAGNETIC MAN, WRETCH 32, TWIN ATLANTIC, WILEY, THE 1975 and loads more. 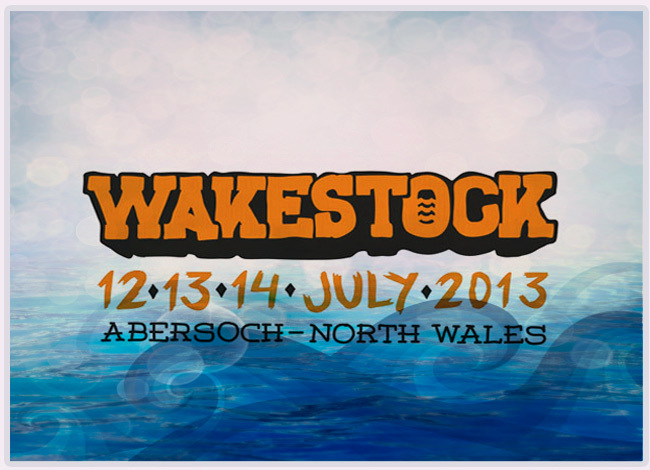 For the full line up including the breakdown of which acts are playing on which night please go to the website at at http://www.wakestock.co.uk/band-root/2013-line-up/. 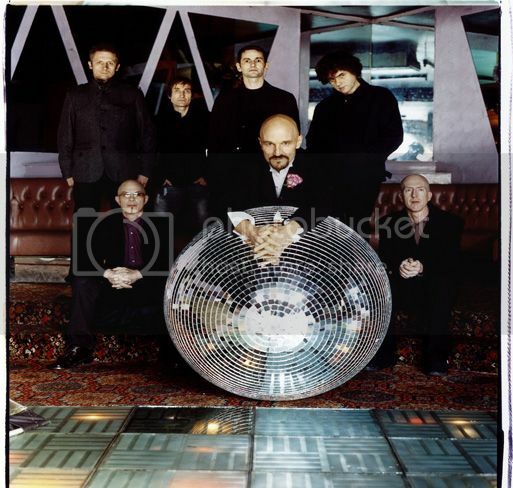 Influential indie masters JAMES are one of the biggest bands to ever emerge from Manchester, with over 25 million album sale worldwide. These guys formed back in the 80s but it was the 90s that saw them smash the charts with anthemic singles including " Come Home ", " Sit Down ", " Born of Frustration " and " She's a Star. " These are just some of the 20 top 40 singles they have released in a career spanning over 3 decades. These guys are famedfor their live performances and we can't wait to welcome them to Wakestock this year! They will be joined by SWIM DEEP, a band with polished, edgy, pop fuelled cool. Their music is sun-drenched excellence at its best, as highlighted in the single " She Changes the Weather " which is out this week. With their debut album " Where the Heaven Are We " scheduled for release on June 29th,it looks set to be the sound of the summer. If you are a fan of Rudimental then you will know of ELLA EYRE. Ella features on their number one single " Waiting All Night ", and is set to release her own EP in June, with the lead single " Young Forever ." This 18 year old girl's extraordinary voice and songwriting skillshave already attracted the attention of Professor Green and Disclosure, andElla also featured on Wakestockfave Bastille's cover of TLC's classic " No Angels ," which shot straight to the top of the Hypemachine chart.Make sure you catch Ella'sshow this year! ESCO WILLIAMS, the self-professed "Soul Powered Nerd" is a dynamic vocalist/singer/songwriter, from Liverpool. He has been invited to play at Wakestock as part of the BBC Introducing and Association of Independent Festivals partnership. Reminiscent of Aloe Blacc, Al Green and Cee-Lo Green, his energy and performance have already earned him a MOBO Unsung Award 2012 Award, plus inclusion on the Radio 1XTRA Hot for 2013 and TOP 20 Artist for MTV Brand New 2012 lists.Esco tells us I'm stoked to play Wakestock this year and honoured to be invited by BBC Introducing and AIF! The partnership between the BBC and AIF has presented me with a great platform for me to be able to showcase my music on a bigger stage. I can't wait to show the boarders how I get down! . They will be joining EXAMPLE, MAGNETIC MAN, BASTILLE, RUDIMENTAL, WRETCH 32, WILEY, TWIN ATLANTIC, THE 1975, ZANE LOWE, THE TODDLA T SOUND, LUCY SPRAGGAN, MALLORY KNOX, K KOKE, MS MR, JAKWOB LIVE, MISTAJAM, JACKMASTER, ANDY C, KING CHARLES, HUW STEPHENS, DOG IS DEAD, WILLY MOON, RUSS CHIMES, MELE, FRED V AND GRAFIX, LOADSTAR, MELE, MONKI and many more already announced acts. Two day ticket plus camping â€“ this gets you access for either Friday & Saturday, or Saturday & Sunday to the arena plus camping Â£100. All tickets are available through the Wakestock website at www.wakestock.co.uk/buy-tickets or by calling 0844 888 9991. If you haven't already got hold of your tickets, get them while you can! We also have tickets on-sale in the local shops â€“ check the website for details of the stockists in the local area. Now is your last chance to enter this year's Battle of the Bands competition. Entries close on the 27th May so if you feel like your band has got what it takes to raise the roof at Wakestock this year, send your entry through to info@wakestock.co.uk. BBC Cymru's Lisa Gwilym will be picking the winner whose name will be announced in June. Best of luck! We've got more a few more acts to reveal over the coming weeks, plus news on the mind blowing wakeboarding, and entertainments galore up on the festival site.